Most likely, you have already heard about blockchain but did not pay much heed to it. You may have considered it just a piece of IT jargon or another buzzword. Then, you’ve got it wrong! The blockchain is a breakthrough technology expected to improve numerous industries in the coming years. It’s a brand-new way of storing data in a transparent and unalterable way using the means of military grade security mechanism like Cryptography. At its core, blockchain is a shared system that can efficiently record and store transaction records. More specifically, it is a distributed, unchangeable digital ledger of P2P (peer-to-peer) transaction records forming up of chained transaction blocks. There is no central authority; each participant in the network can view the transactions. In a nutshell, blockchain is like a spreadsheet in the sky, that all Banks around the world will have a copy of it. Whether it’s the financial world, healthcare or any other sector, you would probably experience the consequences yourself soon enough. 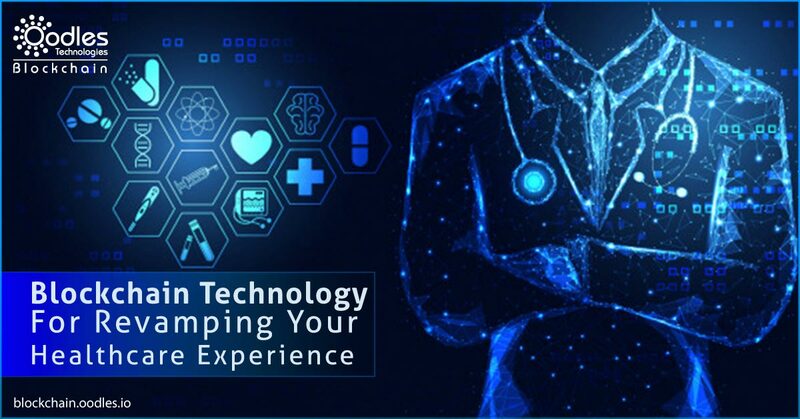 Blockchain, along with everything else, intends to mend your Healthcare experience in revolutionary ways. Using Blockchain for the healthcare sector can provide us with a decentralized, automated third-party system using which we can transfer medical data freely and securely. From discovering demographic trends to making EHRs (Electronic Health Records), blockchain can optimize real-time data through its vast connectivity. Patients can easily send records to anyone they want without worrying about data corruption or tampering, as Blockchain is immutable and distributed. Likewise, medical records added to the blockchain will be completely secure. The patients can oversee how the medical institutions are using their medical data. They can specifically authorize any individual to access their medical information. Bed occupancies in emergency rooms, remote and accurate monitoring of health, inventory, patients, staff, and medical device availability – the tracking of these items is improvable using Blockchain in Healthcare and IoT. Population Health Data: Population health data refers to the medical information of a specific demographic. The challenges faced are data interoperability, shareability, and security. Using blockchain technology, better data and sharing of population health data can enable improved care delivery encompassing diverse populations. With data analytics, new technologies like AI and ML can be integrated to discover broader perils of population health. Prescription (Drug) Traceability: Data in blockchain is unalterable. If any information related to a prescription issuance or drug production, shipment, etc., is added, it becomes almost impossible to change it. Thus, eliminating counterfeit/misused prescriptions and drug circulation. EMR (Electronic Medical Record): Blockchain can support the complete lifecycle of a patient’s EMR along with providing robust security and flawless auditability and eradicating needless administrative units. Public Health: Regulatory organizations can have a distributed stream of de-identified patient information to help medical authorities identify the pandemics or threats beforehand. Data Security: Blockchain can smartly safeguard patients’ information by preventing unauthorized individuals the access to information. Health Data Accuracy: With Blockchain, the efficiency of the treatment given can get improved with leaps and bounds. Health Data Interoperability: Any healthcare related facility regardless of its location can utilize digital medical records. Clinical Trial Results: Blockchain can bring improved transparency and accountability in clinical trial reporting processes by systemizing all trials correlated with a published study. While it’s unlikely that technology would substitute doctors entirely, Blockchain based healthcare applications provide a secure platform to access healthcare facilities readily. In the world of the Internet of Things (IoT) and wellness, Blockchain enables us to build on “collective intelligence” or Data IQ to form a patient-centric care model of the future. Thanks to Artificial Intelligence, Blockchain, and IoT, all participants in a healthcare network can benefit from the resulting cost-reductions, transparency, and efficiency.